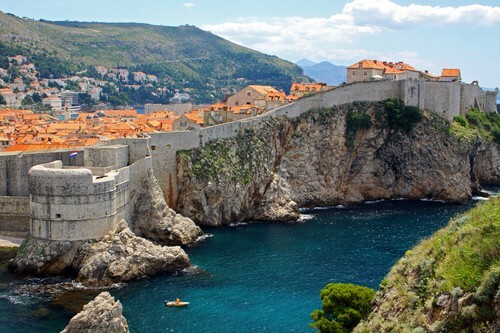 2 Nights in Zagreb, 2 Nights in Plitvice, 3 Nights in Split, 4 Nights in Hvar and 3 Nights in Dubrovnik on a bed and breakfast basis. 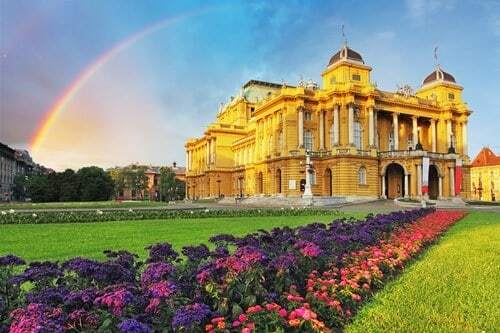 Upon arrival to Zagreb airport, our driver will take you to your hotel. After you have settled in your hotel, stroll amongst the city’s classicist and secessionist facades and green parks. Satisfy your inner culture vulture by visiting one of the many museums and galleries or simply soak up the atmosphere of the busy city streets. Take a funicular to Gornji Grad, the Medieval part of the city containing St Mark’s church, offering stunning tile roof. 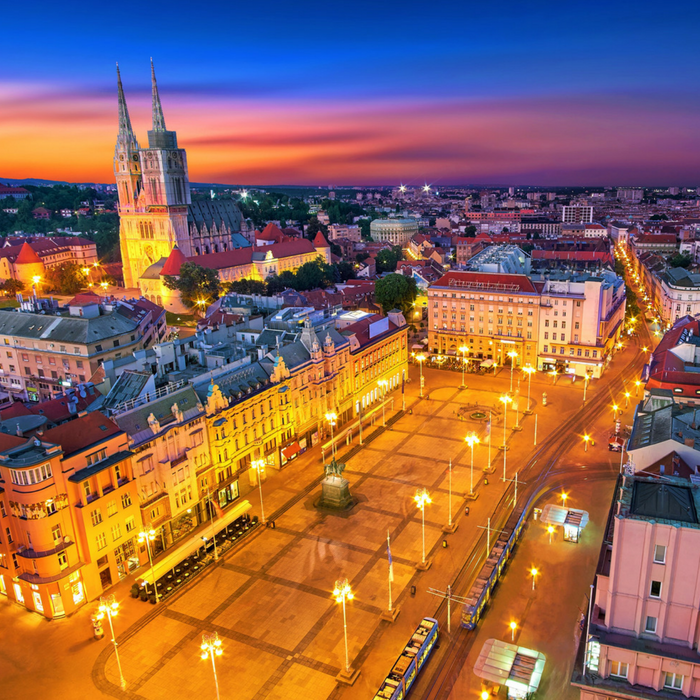 Zagreb has a booming craft beer scene so if you’re a fan, go for a stroll around Tkalciceva street and sample some of the local brews. 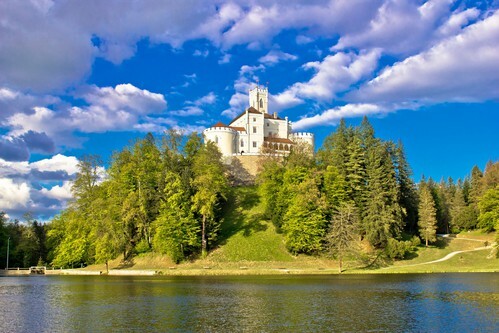 Zagreb’s hinterland is hiding beautiful 13th century Trakoscan castle and a baroque Old town of Varazdin and its 14th century Varazdin castle. Hinterland is also a home to several family farm restaurants with their own vineyards, serving local home-made food. Here you will be able to see a traditional čardak house and sample the štrukli and kulenaccompanied by local wines Škrlet (white), Graševina (white) and Frankovka (red) wines, as well as widely known wines Merlot, Shiraz, Muscat, Sauvignon, Pinot, Chardonnay and Riesling. 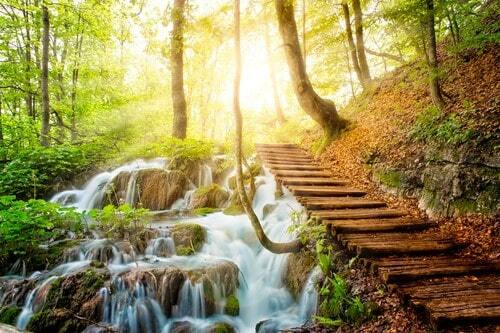 After breakfast, you will make your way towards UNESCO-listed Plitvice Lakes national park. 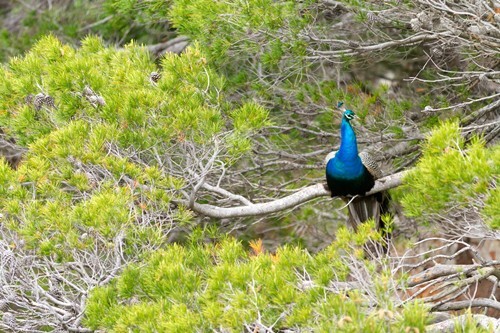 With arrival around lunch time, you will have the afternoon to explore the park. 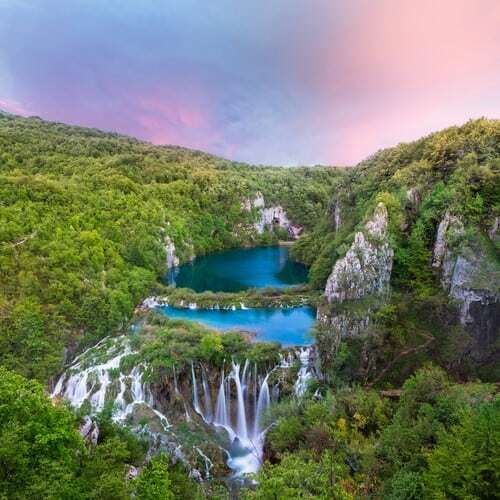 Whilst in Plitvice Lakes, may we suggest purchasing a 2-day ticket to Plitvice Lakes National Park, which will allow you much more time to explore the trails, beautiful waterfalls and lakes. Hop on a scenic electric boat or train for a different perspective of the park. 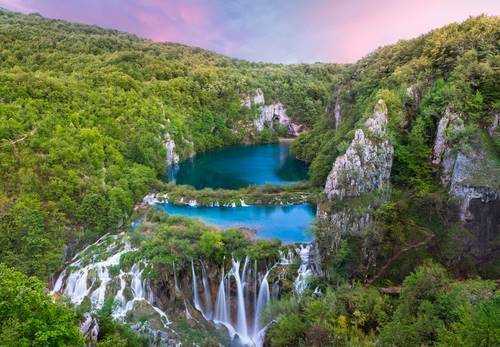 You can further explore lush Plitvice region, which is much more than lakes and waterfalls. This is a mountainous region with lots of game, so do try local venison, wild boar and rabbit, or sample delicious homemade soured milk. If you’re an animal lover and would love to support local conservation project, visit Kuterevo bear sanctuary. Lika bears are a symbol of the region and this sanctuary, ran by volunteers, rescues orphaned cubs. The entry is free but they depend on donations. 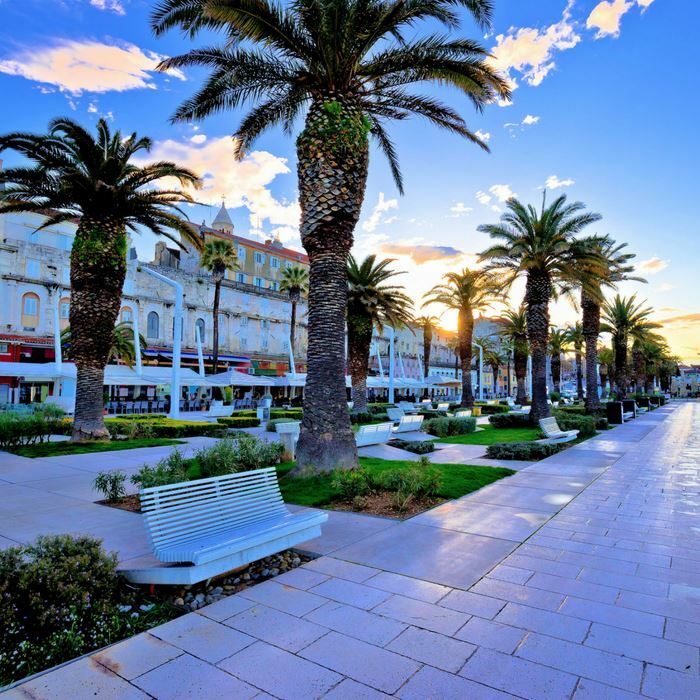 Today, you will make a morning departure to Split, second biggest city in Croatia and the capital of Dalmatia region. Within the walls of the Palace, you will find cafes, restaurants and shops – plenty to explore. 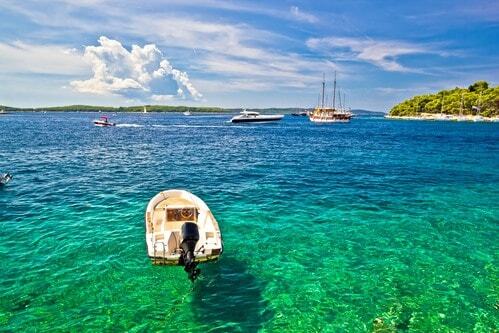 For your last day in Split, relax on one of the beaches around Marjan hill. Enjoy crystal-clear sea and beach bars with lush forest in the backdrop. If you’re an art lover, don’t miss out on Mestrovic Gallery and Mestrovic Kastelet nearby, containing works of one of the most prolific Croatian artists, Ivan Mestrovic, renowned worldwide. 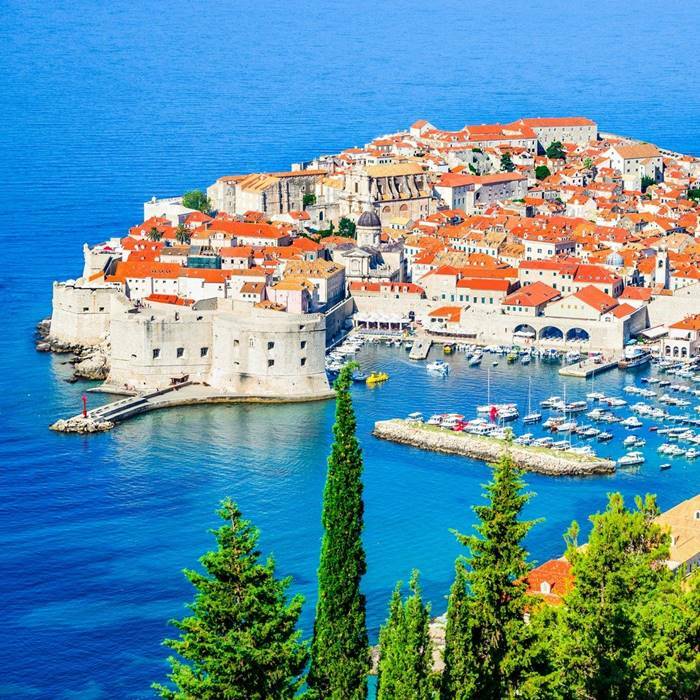 If you climb just a little bit higher, to the first viewpoint, you will be rewarded with a stunning panoramic view of Split and the islands of Solta and Brac in front. 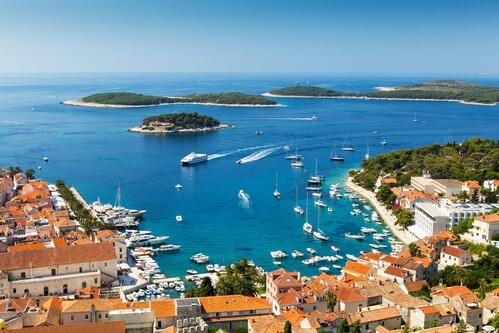 You will board an early morning catamaran to Hvar, one of the top destinations in Croatia and an island of stunning nature, turquoise sea and lively bar and restaurant scene. 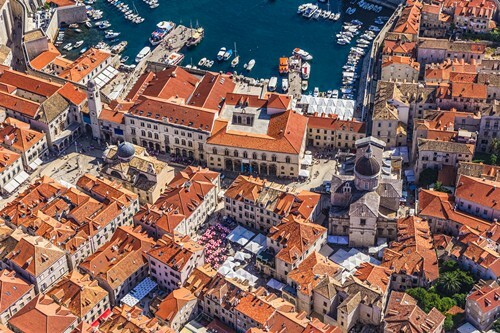 After checking into your hotel, explore bustling Old Town. 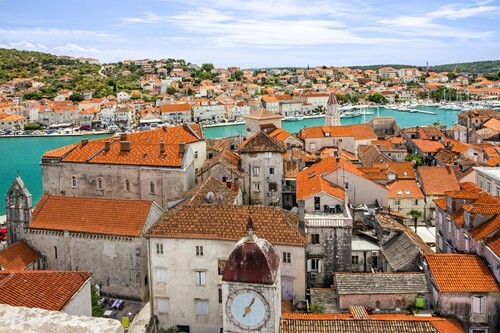 For the best view over the town climb up to 17th century Fortica Fortress or explore Hvar’s narrow streets filled with wonderfully quaint restaurants and shops selling artisanal wonders. Spend the evening relaxing with a drink taking in the sights, sounds and celebrities of Hvar’s nightlife, we recommend the Le Bonj bar. 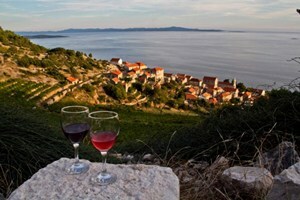 Alternatively, go on a jeep safari tour, exploring Hvar’s countryside. Abandoned in the 50s, the nearby village Malo Grablje has a new-found purpose as an ethno-eco village, open to tourists and providing an insight into authentic island life. There is a restaurant serving traditionally-prepared food, using only locally-sourced ingredients, so you can enjoy a meal in a tranquil and beautiful setting. 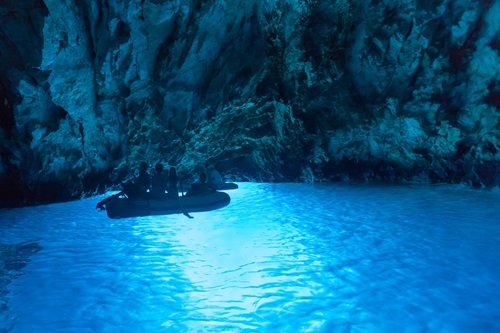 Departing from Hvar with an early morning catamaran, you will be in Dubrovnik around lunch time. 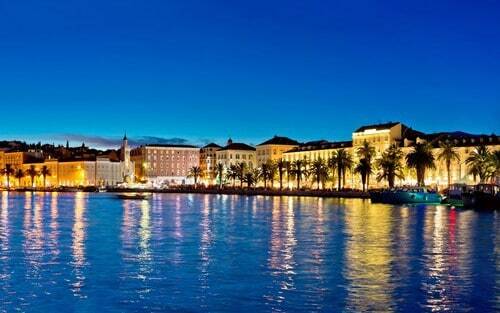 Upon arrival, our driver will meet you at the harbour and take you to your hotel. In the afternoon, we will organise a private guided tour of the Old Town (combined with Game of Thrones tour if you’re a fan of the TV show), taking you to locations where this world-popular TV show was filmed and introducing you to the beauty of the town known as ‘Pearl of Adriatic’, which wasn’t diminished even by severe shelling during Homeland war in the 90s.